Relate: Just a few minutes ago, a ball dropped. For me, it happened hours ago but still, the official New Years doesn’t truly begin until that ball descends in Time’s Square. Thousands upon thousands of people watched it with plenty of fanfare. Tens of thousands of people packed into New York City all bundled up and as inebriated as they could get to see it this momentous event. For every one person watching it live, dozens more gathered around TV’s in homes, bars, restaurants, churches, and bowling alleys throughout the east coast to see this sacred event. With a minute left, the ball began its slow drop and the volume began to rise. Huge numbers ticked down as the dropping ball made its slow descent along the spire. There was a growing level of both background volume and anticipation until the number 10 was reached. Both live, and around the TV’s unity was found as everybody joined together to count down. 10, 9, 8, 7, 6, 5, 4, 3, 2, 1… Confetti dropped, champagne glasses clinked, kisses were given, and Auld Lang Syne was sung out. A new year had begun. “In the beginning…” There’s something about a beginning that brings hope. Even for those that say New Years is just another day, deep inside, they know this isn’t true. We all want a clean slate. We all want a fresh start, and getting one gives us joy and brings new commitments. Most of us make resolutions. We promise to do better and, for a while, we actually believe we can. The new year is an opportunity to begin over. It is a chance to start again. This is something we all want, and we all desperately need. 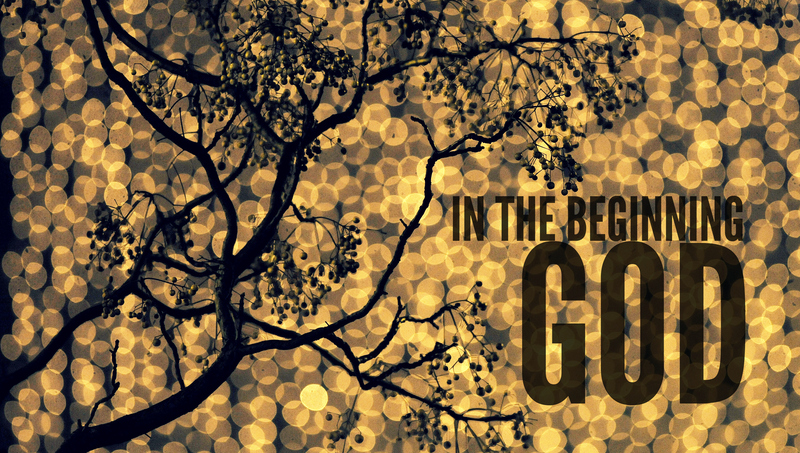 React: “In the beginning, God…” He is the only way to truly begin again. Without Him, the clean slate of New Years is just an empty concept. It cannot truly happen, but with God… He makes all things new. If you are reading this and you have never really made God a vital part of your life, I encourage you to do so. Let Him give you a new start. If you have made resolutions this year for eating, fitness, work, etc. why not make one more? Why not commit to doing something great for, or with, God this year? Why not start this new beginning off with God? Why not commit your life, for the first time or for the hundredth time, to Him? I give You this year. As I start it out, help me to do it by following You. You are all I really want for 2018. Take me down paths in these coming days that are far more than I could ever have imagined. Help me to follow You today, tomorrow, this year, and for the rest of my days. I’m Yours, again, for the very first time. January 1, 2018 in Daily Walk. In the beginning was the word… Thanks! This is wonderful and a terrific way to start the New Year! This is wonderful! I have shared and re-blogged.